This is worth the watch for inspiration and insights from Lance Wallnau for personal or corporate growth in moving toward the next level. Last Sunday, Prime Minister Lee Hsien Loong presented his National Day Rally speech. Strangely, the topic of race and religion dominated his speech. However, in view of the inevitable force that is changing our social, political and economic landscape in our global world, I reckoned that his speech was somewhat a timely reminder and a wake-up call to us Christians. 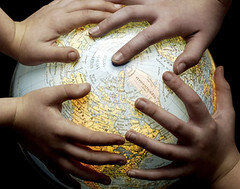 That force is that of globalisation which is pushing people together even closer than before. And religion or its fundalmentalists and dogmatists are becoming an opposing and dangerous force that divides and threatens our society’s progress. Back in early June, US President Obama visited Cairo, Eygpt and delivered a groundbreaking message to urge an end to suspicion and discord between America and the Muslim world. Even Tony Blair, the Bristish ex-Prime Minister had launched his new inter-faith foundation called the Tony Blair Faith Foundation this April. What makes the foundation’s work distinctive is its emphasis on uniting people of different religious traditions in practical action – with the eradication of malaria a key priority at this moment. With this backdrop, I strongly believe that if there is a such divine appointment for the Church to represent Christ in His fullness, it is NOW. For too long Christianity that was founded upon a legacy of love has been tainted with the worst sort of intolerance and prejudice. Most troubling of all is witnessing how the teachings of Christ has been hijacked by believers who hate in the name of love. Even in his rally speech, PM Lee cited the AWARE saga as an attempted takeover “by a religiously motivated group who shared a strong religious fervour to enter civil space”. I submit to you that if we Christians truly desire to spread the message towards fulfilling the Great Commission, then we cannot afford to be known or driven by a religious motivation. As a people, we need to be more concerned about what is right than about being right. We need to be love motived, simply because God is love; being the message is more important than us merely spreading the message. Christ in this 21st century not only needs to be accurately represented, but also re-presented. For the past eight months, the global recession has driven Singapore’s export-dependent economy to its knees. Unemployment has reached one of the highest levels. Everyday we hear of more retrenchments looming around the globe that has caused the general sentiments of Singaporeans to be cautious and pessimistic. Nonetheless, if we understand history, this downturn of an economic cycle is something that we’re all susceptible to. Our outlook towards a recession should not be one of denial or fear. It should be one where we aim to minimise the negative impact of the downturn. In fact, with the correct mindset and attitude, we might even capitalise on the opportunities that are present in a downturn. 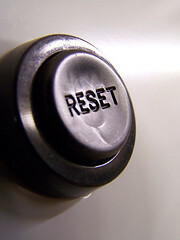 Personally, I view the downturn as a moment of reset where God hits the ‘RESET’ button of the economy. When that happens, almost everything drops to a new low and leveling the competitive field. Think Lehman Brothers, General Motors, Citibank and AIG to name a few, and you get the picture. Now the smaller players with the right financial fundamentals and attitude can catch up on these big players, if not overtake them in the market. For employees like you and I, the same rules apply. If we are to keep our positions or desire to see new opportunities opening up, then this is the time that we need to raise up our game. During this pressing circumstances, it will not be unusual to find people around us who will be doing as little as they can at work or doing just enough to get by just to save their own skin. They simply go to work to pick up a pay check. Hence, I believe this downturn presents a great platform for those of us who have high aspirations or ambitions to stand out and get ahead. Please do not misunderstand that I’m implying that we become solely competitive. I’m only encouraging us to simply be the best that we should be with our god-given potential and talents that we have. In that way, with a positive attitude and the right skills set, we can become an invaluable individual and employee that is able to contribute proactively to our organisation towards the upturn of the economy. Who knows, some of us might even find new avenues to start our own businesses. In fact, I already know one of my friends who has done just that after being retrenched. In reality, I acknowledge that we cannot disregard the temptation for us to sink to the norm level of the mediocrity displayed ubiquitously around us is exceptionaly high too. 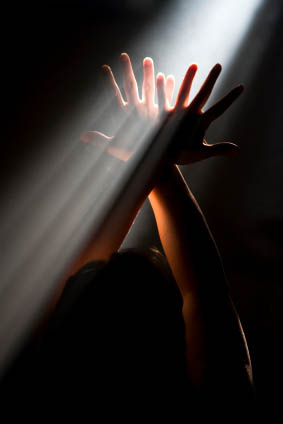 However, I believe we have the will and responsibility to choose where we want to be when the upturn begins. So I’m certain that most of us if not all, would like to choose to be a cut above the rest and excel in our field. We need to motivate ourselves by adopting an attitude and a biblical mindset that we are working for our God first and foremost. And when we do our best and excel at work, God gets the glory. Even if one is not a believer in God, we can still be motivated to strive in being a person of dignity and integrity which can only work to our benefit for our career and profession.